The Conservative vice-chair of the energy committee studying Ottawa's overhaul of environmental assessment legislation has stepped down from his position with a mining company. The Conservative deputy chair of the energy committee studying Ottawa's overhaul of environmental assessment legislation has stepped down from his position on the board of directors of a Quebec-based mining company. Canada Carbon Inc. announced the resignation of Conservative Nova Scotia Sen. Michael MacDonald in a statement Monday — a development that comes after CBC/Radio-Canada first reported last week on his role with the company, which has sought to develop a marble quarry and an open-pit graphite mine in Quebec. "On behalf of the board, I would like to thank Michael for the contributions and insights during his brief tenure," said Bruce Duncan, the CEO and chairman of the company, and MacDonald's former business partner. 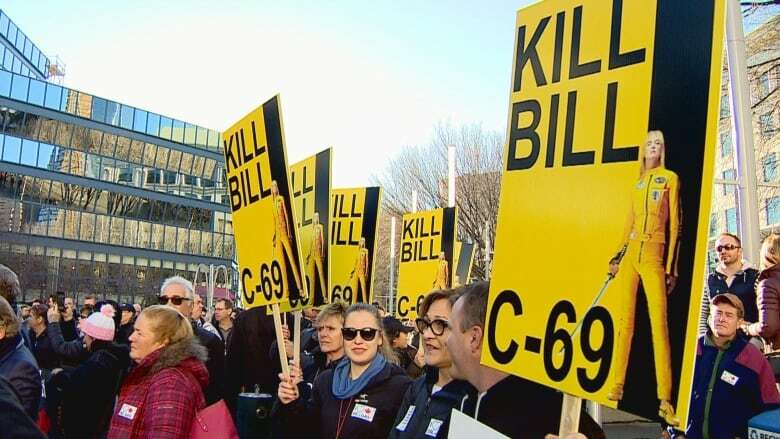 Bill C-69, Liberal government's major overhaul of the assessment process for major natural resources and energy projects, could have an impact on the firm's operations. The graphite produced by Carbon Canada's proposed mine is earmarked for use in small modular reactors (SMRs) — nuclear fission reactors which are much smaller than conventional reactors. Such reactor projects would be governed by new regulations if Bill C-69 is passed as written. "What motivated the departure? I felt this issue was becoming a distraction to my work as the deputy chair," MacDonald told CBC News Tuesday. MacDonald said that, as part of his resignation, he will return the 500,000 call options — options to buy a stake in a company at an agreed price within a specific time period — that he was granted when he first assumed a role with the company, meaning he will have no ownership stake whatsoever moving forward. The senator said he resigned from the corporation's board over the weekend. He also informed the Senate Ethics Officer of his decision. "Since being summoned to the Senate, my priority has always been my work as a senator. With the hearings now underway on C-69 — a bill which I believe will have disastrous consequences for the Canadian economy — I must focus my energies on holding the government to account," MacDonald said. 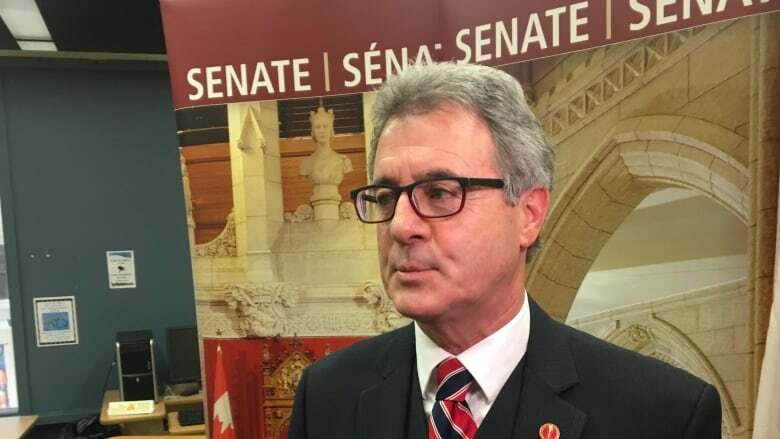 Two experts in corporate governance and ethics had said MacDonald's position on the board of directors could have put him in a conflict of interest regarding his work on the Senate committee. The Conflict of Interest Code allows a senator to be a member of the board of a corporation, or hold shares in a company. However, senators are not permitted to act in a way that benefits their own personal financial interests. "If a senator has reasonable grounds to believe that he or she, or a family member, has a private interest that might be affected by a matter that is before the Senate or a committee of which the Senator is a member, the Senator shall, on the first occasion at which the Senator is present during consideration of the matter, make a declaration regarding the general nature of the private interest," the code reads. "A senator who has made a declaration ... may not participate in debate or any other deliberations in the committee on the matter, and must withdraw from the committee for the duration of those proceedings." MacDonald said last week that he would recuse himself from committee business if its deliberations have an impact on his personal affairs. Rather than resign from the committee, MacDonald is opting instead to cut ties with the business altogether. The Senate's energy committee will resume its study of the legislation on Feb. 19, when the Senate returns from a winter break that was extended because of acoustic issues with the new Red Chamber. The committee also is planning to take its study on the road to hear from Canadians concerned about the legislation's impact on the natural resources sector. The Liberal government has said the bill will shorten timelines and stave off court challenges to projects, while its detractors say it gives too much power to the environment minister to block development.